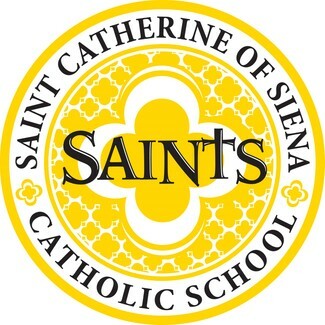 St. Catherine of Siena Catholic School opened its doors in August 2011 with 63 students in kindergarten, first, and second grades. In the fall of 2014, we moved into the Parish Education Center. Today, we have an enrollment of over 415 students in preschool through 8th grades. By the 2021-2022 school year, we will have two classes per grade level. Although the youngest school in the Diocese of Wichita, our faith tradition is strong and alive. Each year, on April 29, we celebrate St. Catherine of Siena’s feast day so that it will be a memorable day for our students, one they will remember for a lifetime. We hold an in-house themed student retreat day with faith integrated into the activities. As we grow, we want to keep the small school, community feel we had in the beginning days of our school so we started Faith Families. Each family is made up of a few students from each grade level, and monthly activities allow the “family” members to get to know each other. These are just a few of our faith traditions we have developed at St. Catherine. We have a well-rounded academic program, complete with a music and P.E. program, as well as a strong technology program where students in 4th grade and above use tablets at a ratio of 1:1. Students have access to a growing library, and a resource room compliments what is done in the classrooms. Per our mission statement, we at St. Catherine of Siena Catholic School “Learn, Love, & Live in God’s Presence” each and every day. 9 AM when school is in session.